Chris had a successful meetup in Chicago. It’s called “3H” if you’re in town and would like to join. Chris is trying to get a the “Bodge” shirt made again, since he stupidly forgot to get one last time. The most dangerous writing app is a site that erases your work if you stop typing. Dave is working with an ESP8266 module, the Wemos d1 mini. There is a layer of internet that lots of IoT devices use, similar to the service from Particle (formerly Spark). Pebble is shutting down. Their internet layer will shut down as well. We had Andrew, CTO of Pebble, on the show in the past. Bryce from Indie.vc writes about getting pitched “Trillion” dollar plans before they even started. The 3D printing revolution that wasn’t. An indepth article about MakerBot. We had Zach Smith on in the past. The documentary Print The Legend (on Netflix) was also a good look at the situation. Ken Sherriff wrote (in 2013) about how the Intel manual has more pages than a 6502 has transistors. Dave talks about databooks. He proposes a hackathon/reality tv show idea where the people can’t use the internet. Instrumental takes a look inside the Galaxy Note 7. Collin wrote in when the Macrofab folks were on the show talking about batteries last time. 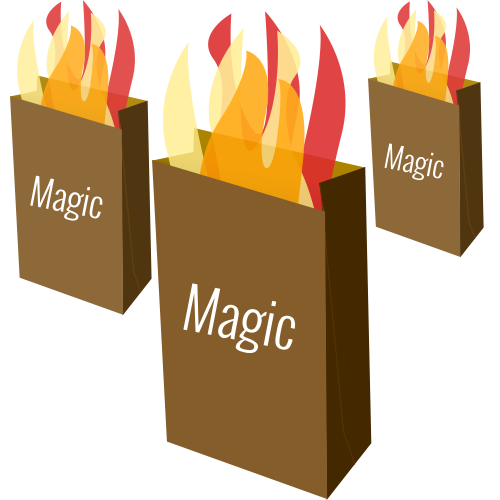 He called them “Magical Fire Bags”. He also sent a link about dielectrics. Ben’s video about 360 slowmo. We had David Kronstein on the show last week. Alan talked about the prototyping method when he was on embedded. Next week we’ll be talking to Avidan Ross, head of Root.vc. Write in to our subreddit with questions about money. making money from 3D printing? how you make money with 3D printing IMO, is the same way as 2D printing of photography. people, your customers pay for the one off print job at your 3D printing business. you offer your customers free 3D CAD software, so people can make their idea. import work, then have them pay for the 3D printing. finally have it delivered to your customers door, just like framed photography. -this business model should work. note- free 3D CAD software should not be free! IF customers export the 3D files outside the software you offer them as free. the customer software application should also calculate the cost of the work to be printed & offer help with good 3D design. With the Uber cars there is always a safety driver that is ready to take over if needed. In many cases an engineer is also in the car to monitor things. In Pittsburgh we have been seeing them semi-regularly. It’s hard to say when a company should sell. I remember thinking MarkZ was crazy for not selling Facebook to Microsoft for 1Billion. At the time they were still relatively new with lots of competition from Google and even an open source social platform iirc. Apparently there were Quebec-class Russian submarines. I don’t know why. Quebec came from a native Indian word. The Quibec thing problem isn’t referencing Quebec as in Quebec Canada though. Unless they are from there and it is an inside joke.